Field your own corporate team (or two) while showing everyone your support for fun on the links as well as music on stage. Several sponsorship levels are available from being the Title Sponsor to displaying your logo on one of the tee box signs around the course. Download the registration packet above for sponsorship forms. 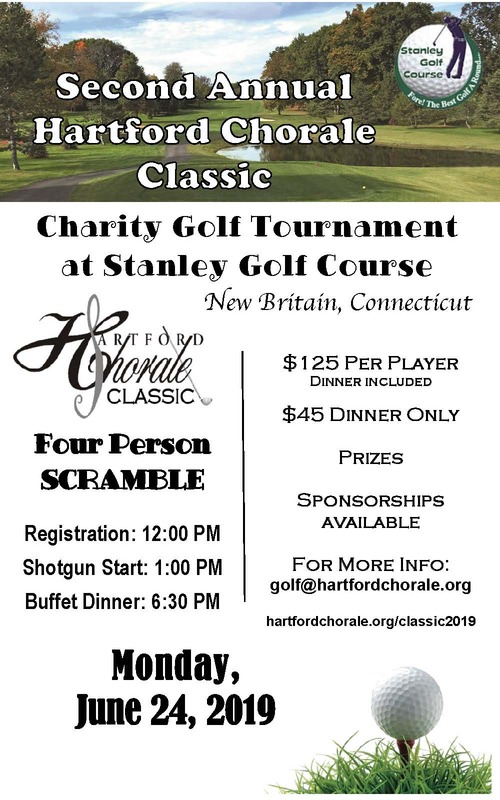 Hartford Chorale is a 501 (c) 3 charity so sponsorships are tax-deductible to the full extent of the law.